This entry was posted in Pic of the Day and tagged Edgemarth Hill Road. Bookmark the permalink. 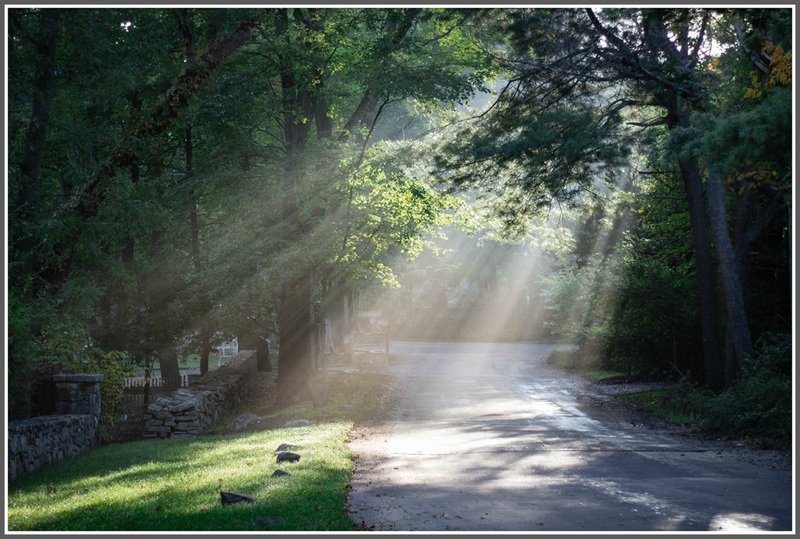 I have lived on Edgemarth Hill Road over 20 years and am still amazed by the light show driving home during sunset hours as its westerly orientation and gentle slope invite rays of varying hues streaming through the foliage. That light is so beautiful! Moving to Westport as a 3 year old — the light is what I remember most during our years there– the light at the beach, downtown, our backyard, the Saugatuck River, the bridge, the Post Road, and so much more to say here. There is something about the light in Westport. These photos capture those feelings and memories. Especially the first photo. Isn’t it amazing that a quality of light can make you think of childhood? Your comment makes me love photography even more than I already do!